Wicked, The Broadway blockbuster musical played its 4,093rd performance on September 4th evening at Gershwin Theatre, surpassing Miss Saigon to become the 11th longest-running show in Broadway history. Wicked approaching its 10th anniversary by this October 30th – There are currently 10 productions of the musical worldwide: New York, London, Japan (Tokyo), Australia/New Zealand (Auckland), Philippines (Manila-Jan. 2014), South Korea (Seoul), Latin America (Mexico City), a U.K. Tour and two concurrent North American National Tours, and has been Broadway’s #1 show for an unprecedented nine consecutive years. Wicked is the untold story of the witches of Oz. Long before Dorothy drops in, two other girls meet in the land of Oz. One, born with emerald-green skin, is smart, fiery and misunderstood. The other is beautiful, ambitious and very popular. Wicked musical tells the story of their remarkable odyssey; how these two unlikely friends grow to become the Wicked Witch of the West and Glinda the Good. Wicked is a standing production at the Gershwin Theatre, 222 West 51st Street, between Broadway and 8th Avenue. Buy Wicked Broadway Tickets Online and Enjoy best musical ever at Gershwin Theatre! 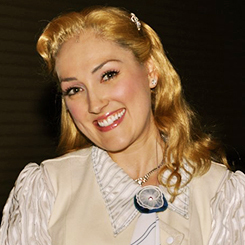 Tiffany Haas (former Glinda, ensemble, u/s Glinda, Nessarose – 2nd Ntl. Tour) will join the Broadway company of Wicked on Tuesday, November 20, 2012, taking on the position of standby for Glinda. She replaces Kate Fahrner, who has been the Broadway Glinda standby since August 2011. Tiffany Haas joins after a nine month run as Glinda on the 2nd National Tour, concluding in June 2012. Buy Wicked Gershwin Theatre Tickets Online at discounted prices – Save $10 on Orders of $350 or more, Use code AFF$10. Wicked Broadway Musical welcomes the return of Kyle Dean Massey in the role of “Fiyero”. Massey took over the role from Richard H. Blake, who gave his final performance at the Gershwin Theatre on July 29. Massey’s other Broadway credits include Next to Normal and Xanadu, plus the national Broadway tours of Wicked and 42nd Street. 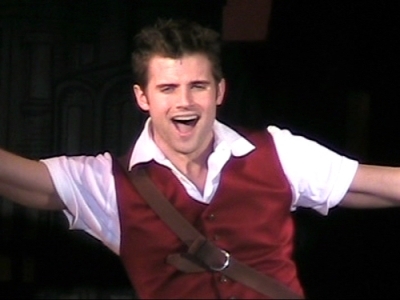 Massey played the role of “Fiyero” in 2011 and resumes the star turn July 31, 2012 at the Gershwin Theatre. He also performed this role in the First National Tour of Wicked. Massey’s other Broadway lead roles include Gabe in “Next to Normal” and Thalia in “Xanadu.” His Off-Broadway credits include “Altar Boyz” and “Lucky Guy” where he played Matthew and Billy Ray respectively. Wicked’s” current cast includes Jackie Burns (Elphaba), Chandra Lee Schwartz (Glinda), Randy Danson (Madame Morrible), Adam Grupper (The Wizard), Etai BenShlomo (Boq), Jenny Fellner (Nessarose), and Tom Flynn (Dr. Dillamond). Buy Wicked New York NY Tickets Online now. Get $10 OFF on any Wicked Gershwin Theatre Ticket orders of $250 or more, use code SUMMERFUNTN at checkout. 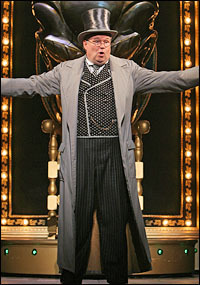 Tom McGowan, who received a Tony nomination for his performance in the original Broadway production of La Bête, will join the cast of Wicked Broadway Musical Starting May 03, 2011. Tom McGowan joins a cast which includes Teal Wicks as Elphaba, Katie Rose Clarke as Glinda, Kathy Fitzgerald as Madame Morrible, Richard H. Blake as Fiyero, Etai BenShlomo as Boq, Jenny Fellner as Nessarose, and Tom Flynn as Dr. Dillamond. Tom McGowan has appeared on Broadway in Chicago and Ivanov and Off-Broadway in The Food Chain (Obie Award), The Winter’s Tale and Coriolanus. Wicked explores the early life of the witches of Oz: Glinda and Elphaba. The two main characters meet at Shiz, a school where both hope to take up sorcery. Glinda is madly popular and Elphaba is, well, green. By a misunderstanding, they wind up roommates and, after an initial period of mutual loathing, begin to learn something about each other. Their life paths continue to intersect through a shared love, entry into the Emerald City and interaction with the Wizard himself. Wicked is a standing production at the Gershwin Theatre. Buy Wicked New York Broadway Tickets Online. 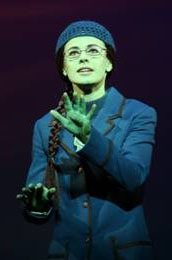 The Broadway musical Wicked has extended its booking period through to 27 Mar 2011. The musical opened at the Gershwin Theatre on 30 Oct 2003, following previews from 8 Oct 2003. Wicked currently features Mandy Gonzalez (Elphaba), Katie Rose Clarke (Glinda), P.J. Benjamin (The Wizard), Rondi Reed (Madame Morrible), Andy Karl (Fiyero), Jenny Fellner (Nessarose), Timothy Britten Parker (Doctor Dillamond) and Alex Brightman (Boq). Purchase Wicked Gershwin Tickets online through guaranteed safe and secure server. Come see the Oz show live this year and learn just how Wicked it is!